The day didn't get any better after my first night in Krabi. My supposed tour to Ko Phi Phi to see Maya Bay was abruptly ended when the guide, boat driver, and fellow tourists on the speedboat all decided to return to the port after experiencing a very bumpy ride where some passengers got motion sick and started to throw up. It wasn't raining but the waves were crazy during the short speedboat ride just outside the docking area. I didn't want the cancelled trip to ruin my first full day on the island, so I decided to look for other things to do. I decided to head to Tiger Cave Temple to lessen the disappointment of an almost wasted day. 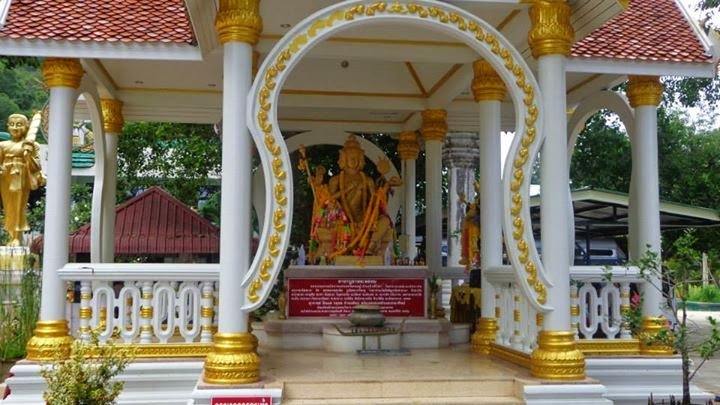 The cave temple is one of the most sacred in Krabi. 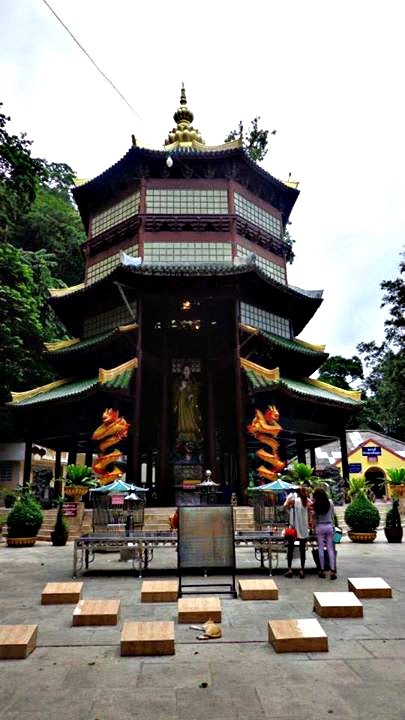 There are more than a thousand steps (around 600m high) that led to the top of the cave temple. I climbed up the steps, there were pieces of light shedding their skin as the dark clouds began to part, it was quiet, the silence danced along the leaves as the wind played its sweet music. I closed my eyes for a moment, and a realization dawned on me like the sunrise peaking over the hills, it was not the journey of the feet that took us to inner peace and our chosen destination, but it is our hearts and minds that finish our journey for us and lead us to inner peace. That was my way of saying that I didn't want (and too lazy) to go all the way up and back down in the rain and drenched in sweat, inner peace and enlightenment can wait. 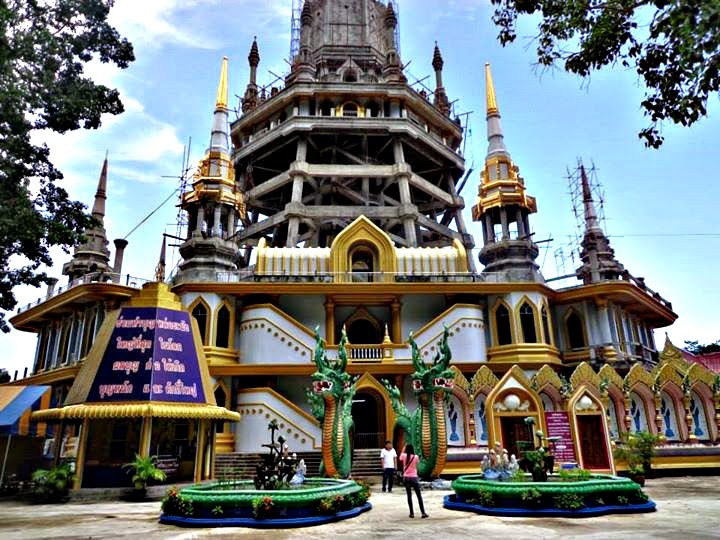 Thailand is a very religious country. 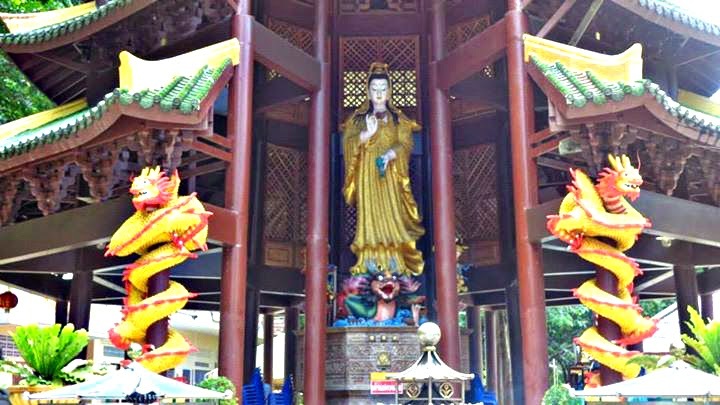 You will see plenty of Buddha statues and temples in various parts of any province; the same way you would see Catholic churches and relics in various parts of the Philippines. 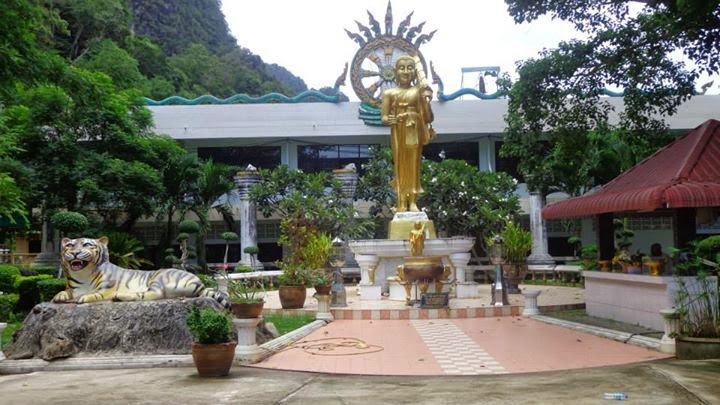 There lives (and even some laws) revolve around the teachings of Buddha, this cave temple was no exception. I wandered around the temple complex for a few minutes before deciding to return to town because of the worsening weather. The drizzle turned into a downpour in a matter of minutes. 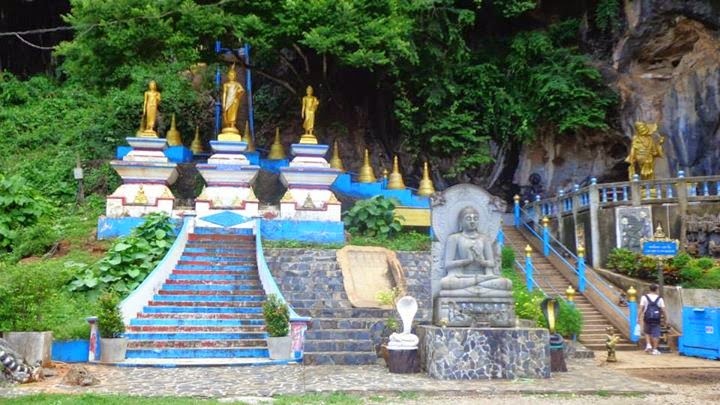 You can take public transport or popularly known as songthaews to get to Tiger Cave Temple. The rate I paid was 100 Baht one way from Krabi town. I'm not sure if you can bargain it to a lower rate, but the songthaews I hailed all charged the same price. 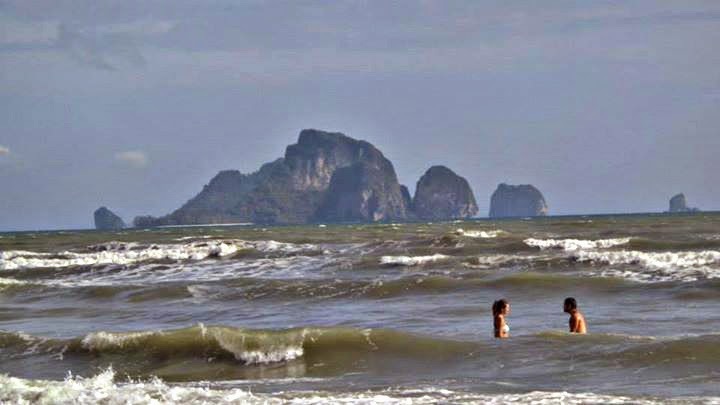 When the weather decided not to throw a tantrum, I headed to Ao Nang Beach in Krabi. 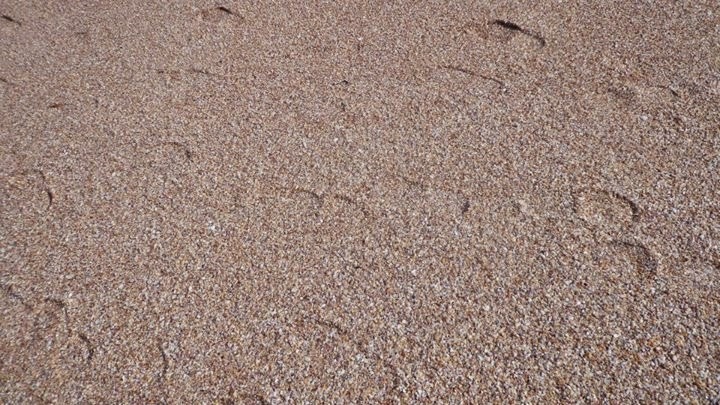 Honestly, the beach was underwhelming. I didn't like it that much, the sand wasn't fine and was hard on my feet and the water wasn't clear either. 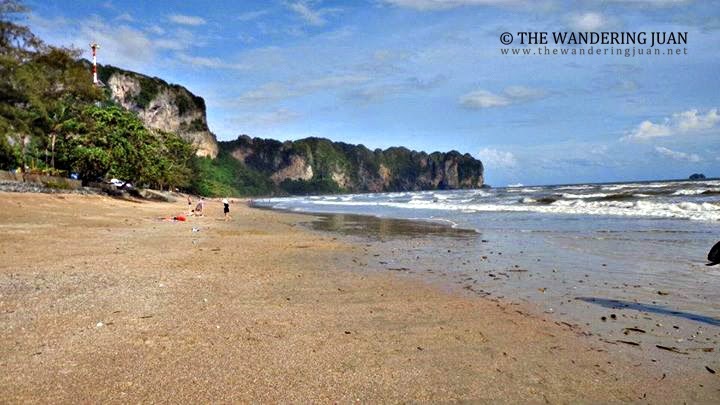 But I did like the limestone cliffs hugging the beach, it looked great! 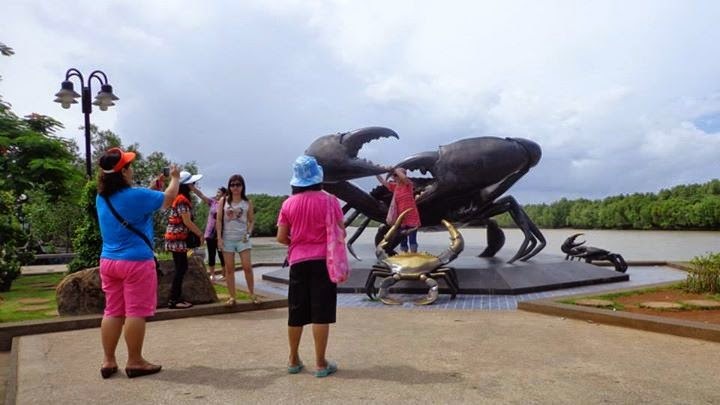 Ao Nang is the most touristy part of Krabi. 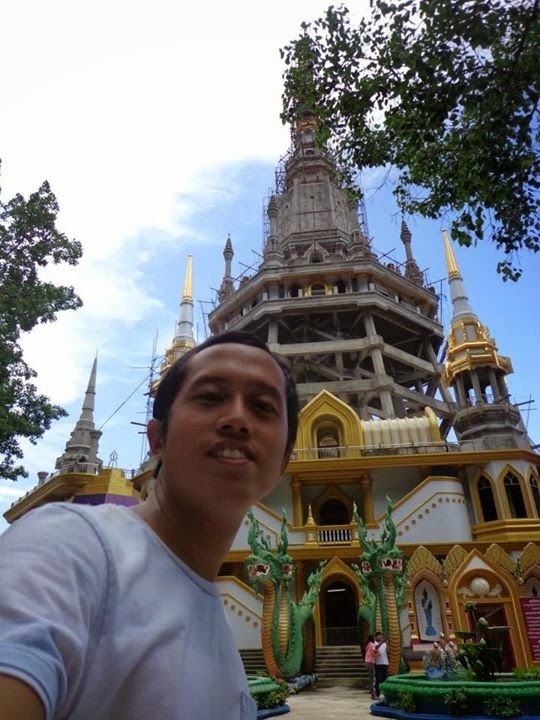 I liked the town's more laid back vibe compared to the resort, agency, stall-riddled beach of Ao Nang. 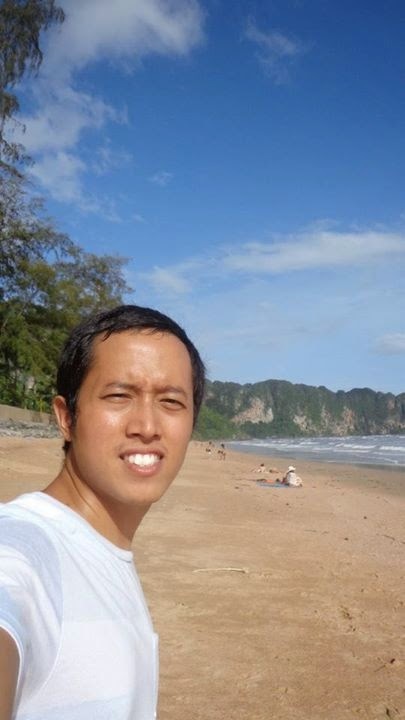 I went during low season, that explains the relatively low number of tourists lounging around the beach. As it was monsoon season, the waves were quite rough for casual swimming. 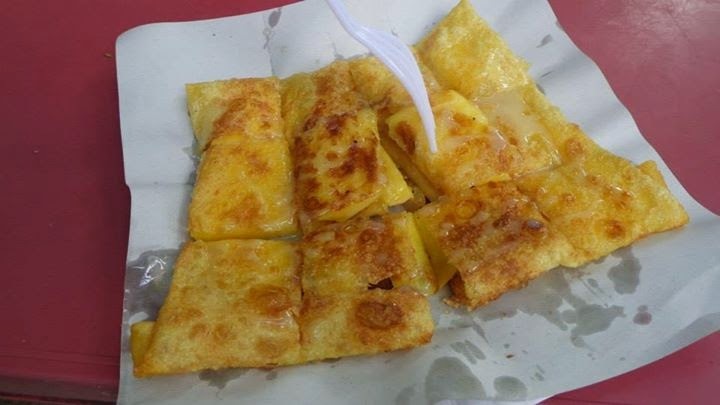 After visiting the beach, I indulged on my favorite snack while in Thailand, mango pancakes! I couldn't get enough of this stuff while at Krabi. Who wouldn't want to eat mangoes wrapped in pancakes? These babies cost somewhere between 35 to 40 Baht in Krabi town and Ao Nang beach. 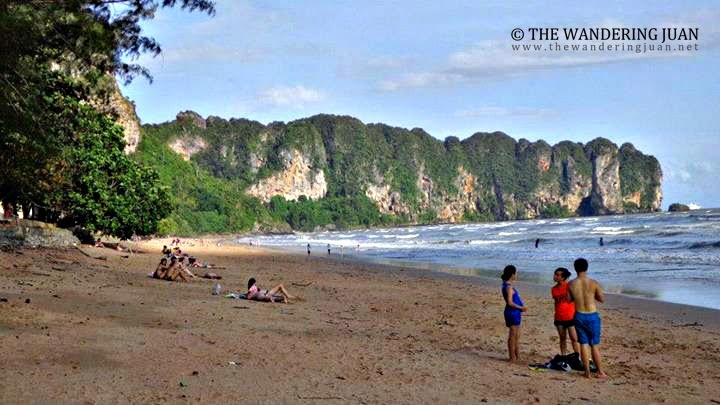 You can get to Ao Nang Beach by riding one of the many songthaews from Krabi town. The fare to Ao Nang Beach from the town is around 50 to 60 Baht. What an enlightening experience! although I am quite afraid of the giant crab thingies :p And those mango pancakes look gooooood!